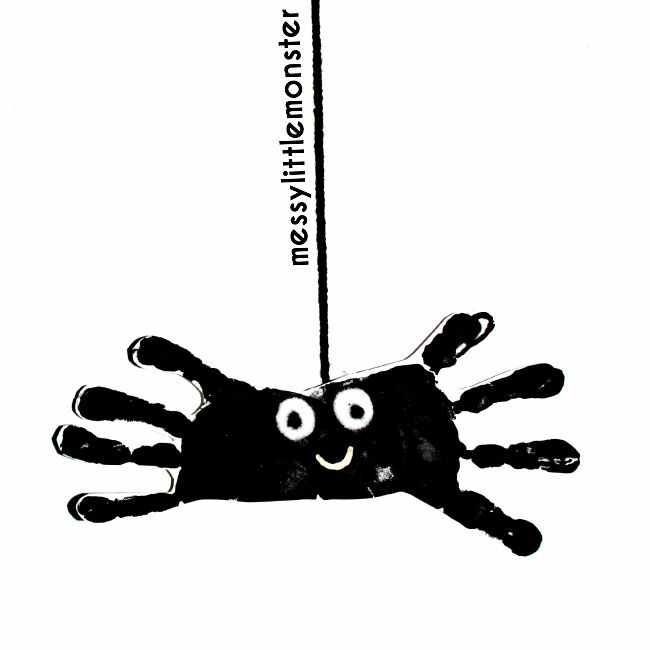 Make a handprint spider to frighten Little Miss Muffet away. This 5 minute nursery rhyme craft can be used for re-enacting the nursery rhyme 'Little Miss Muffet'. 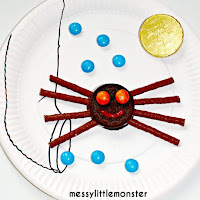 Spider activities are always fun for kids to make especially during Autumn and Winter. If after making your handprint spider you are inspired to try some more bug themed activities take a look at our bug and butterfly activity calendar for lots of ideas. 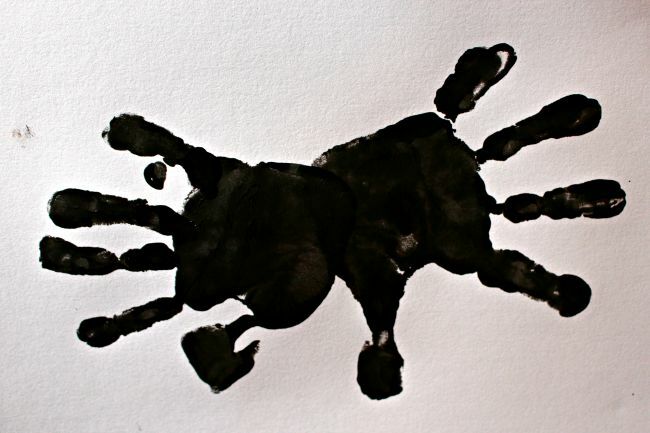 Cover your hands in black paint and make 2 handprints next to one another. Spread out your fingers as each finger will create one spiders leg. Once the handprints are dry cut them out. Cut off the thumbs so you are left with 8 legs. 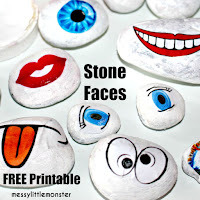 Stick on some eyes. Googly eys are fun or you could use white pom poms like we did. Draw a smile using the gold pen. 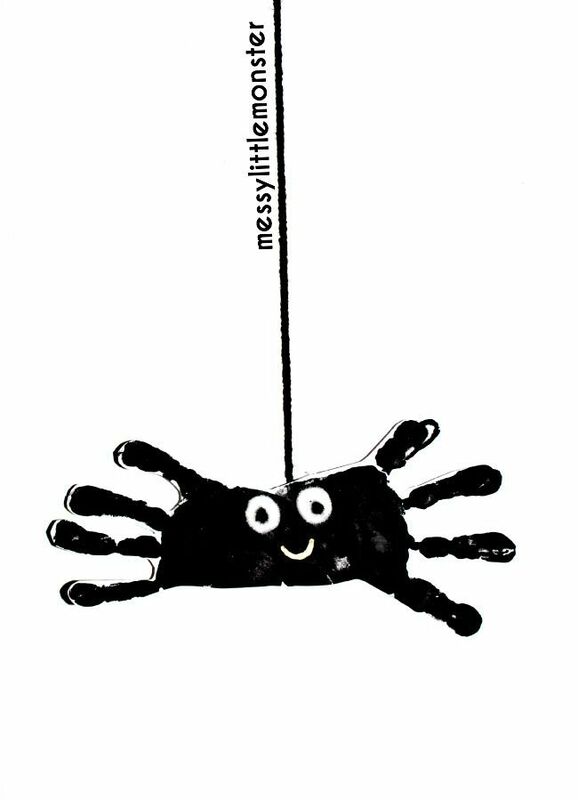 Stick a piece of wool to the back of the spider so that you can make him dangle down. 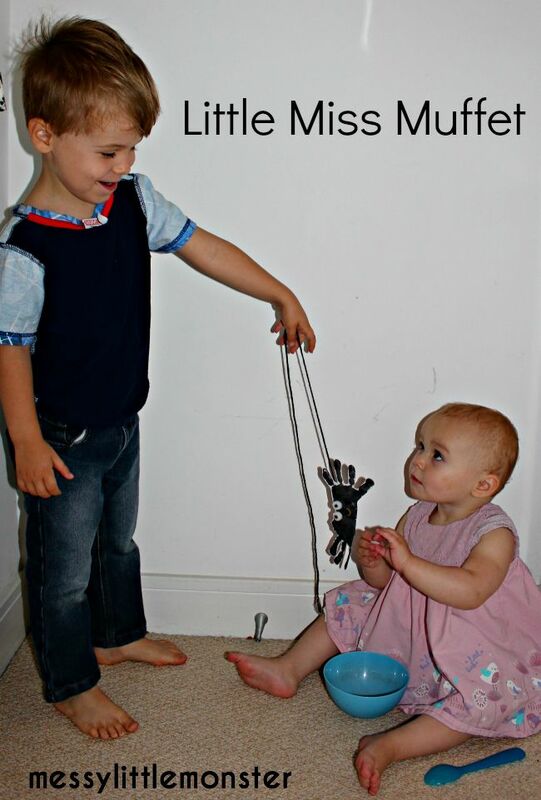 Have fun re-enacting the nursery rhyme 'Little Miss Muffet' and frightening people away with your spider.